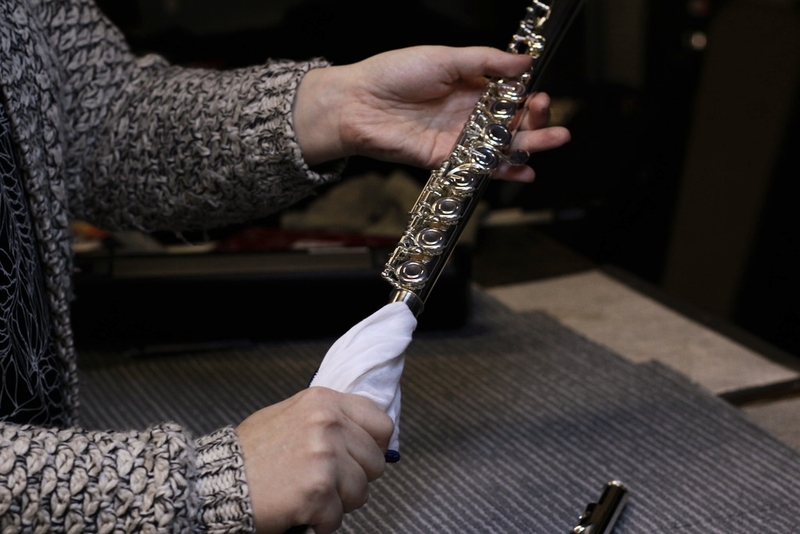 We are now ready to clean the inside of the flute. We'll start with the headjoint. 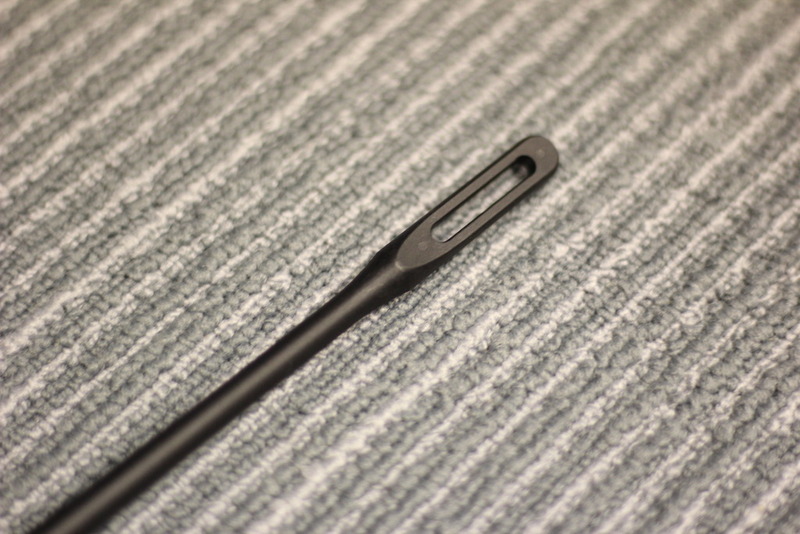 Push the wrapped cleaning rod gently into the headjoint. Do not forse the cleaner in. 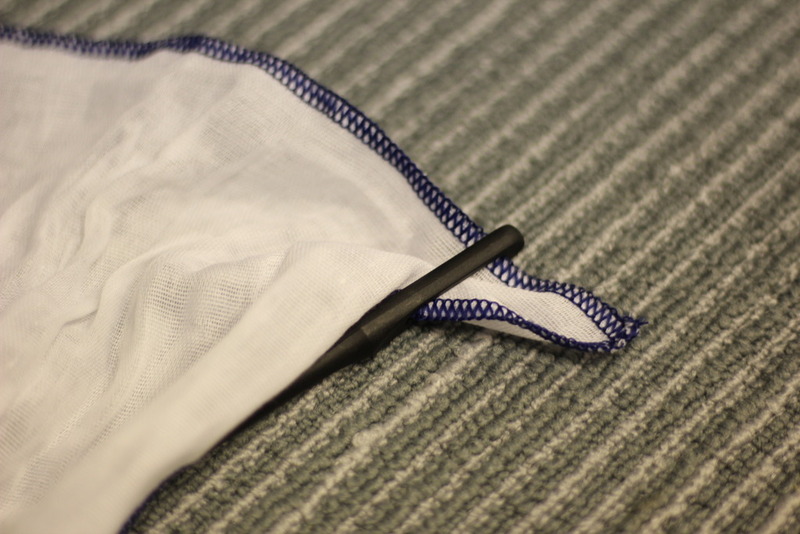 If it doesn't fit, rewind the gauze cloth around the rod, but slightly looser. 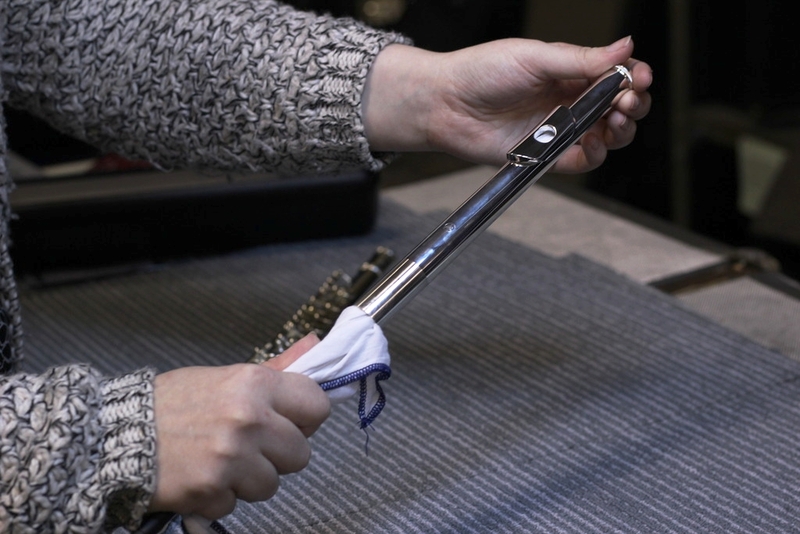 We need to gently push the cleaner right to the top of the headjoint. Whilst pushing, if we do a slight twisting motion, all of the residue is sure to be taken up by the cleaner. 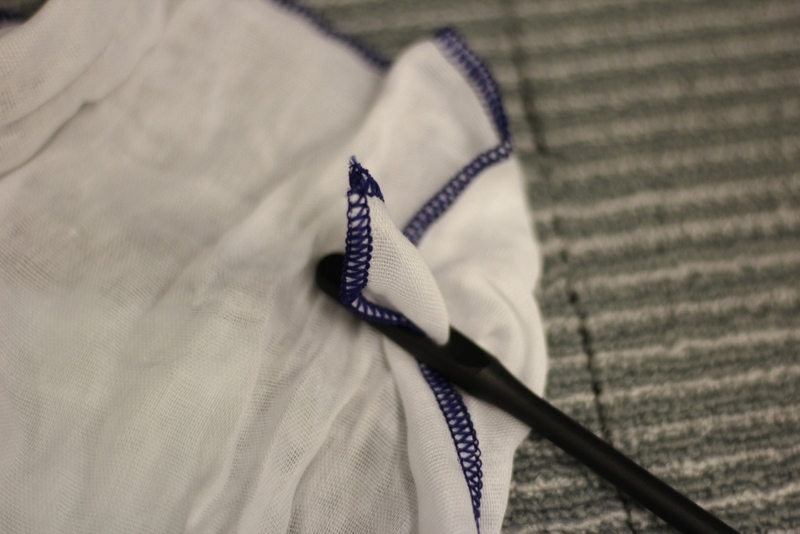 In the picture below, you can see the white cloth appearing in the sound hole. 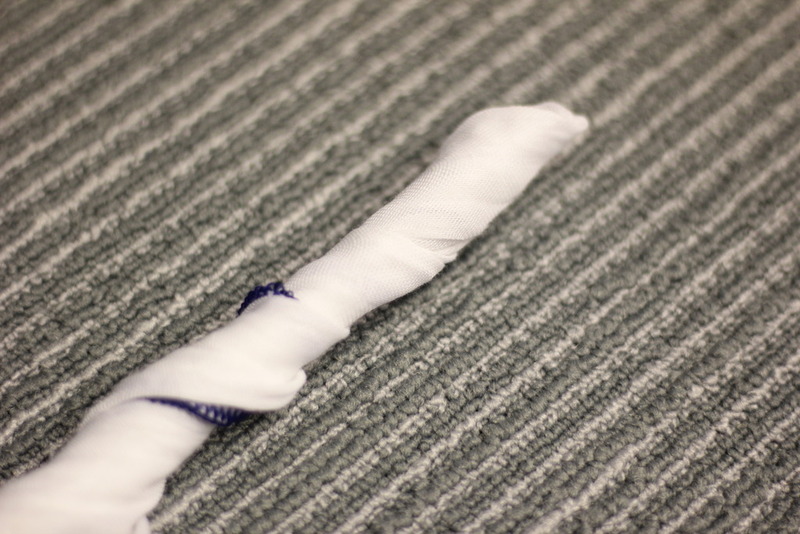 Push and twist the cloth all of the way to the top will ensure the joint is thouroughly cleaned. To clean the body, the same precedure is applied. 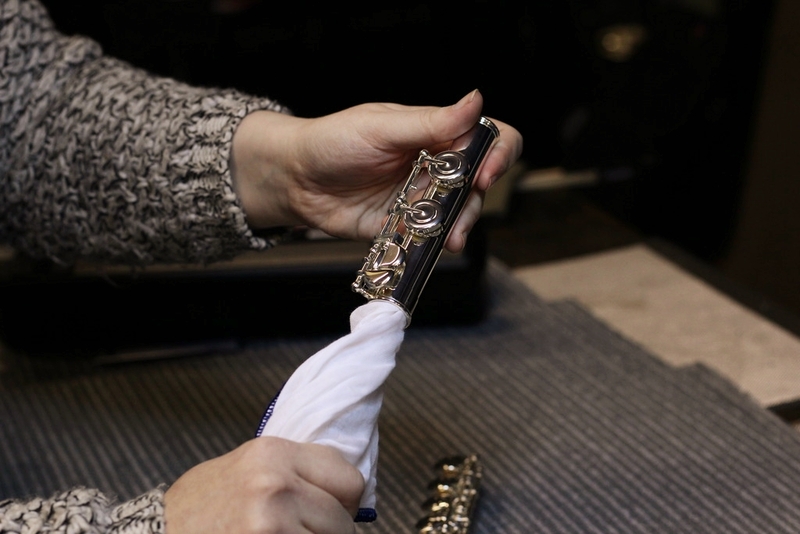 Gently push to cleaner inside the body of the flute, whilst twisting slowly. Do not attempt to reach all of the way through the flute from one end. Aim for the middle and then turn the flute around and do the same again. 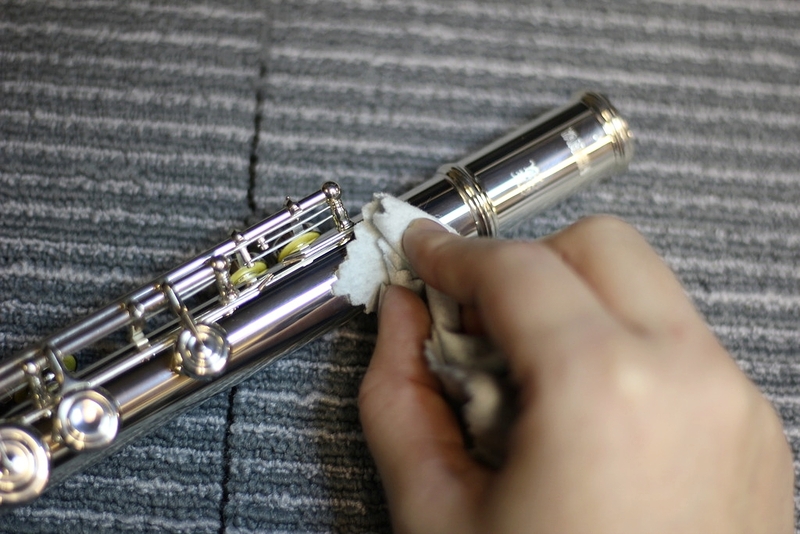 It is important to clean every part of the flute, including the footjoint. Even if you don't think you've been playing long enough for the moisture to have travelled that far, try to get into the habit of cleaning it. Now that the inside is clean, it's time to clean the outside. 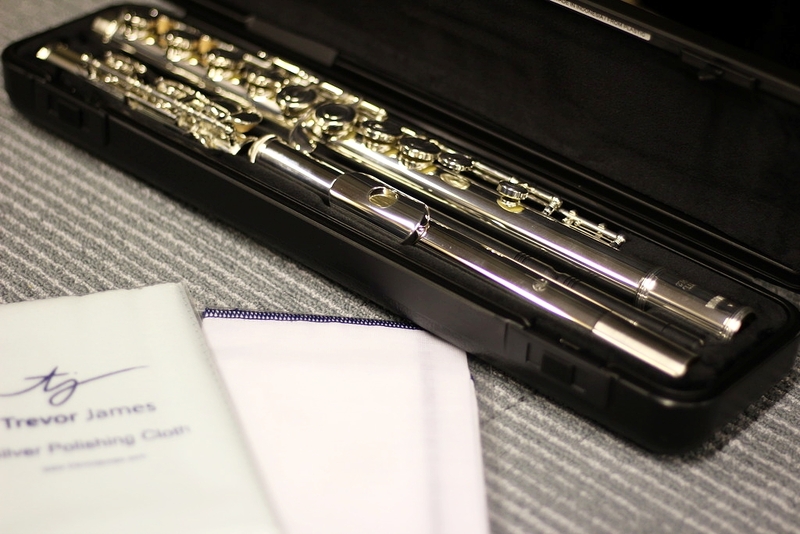 With your flute, there should be a silver cloth in the case. If you dont have one, you can purchase one here. 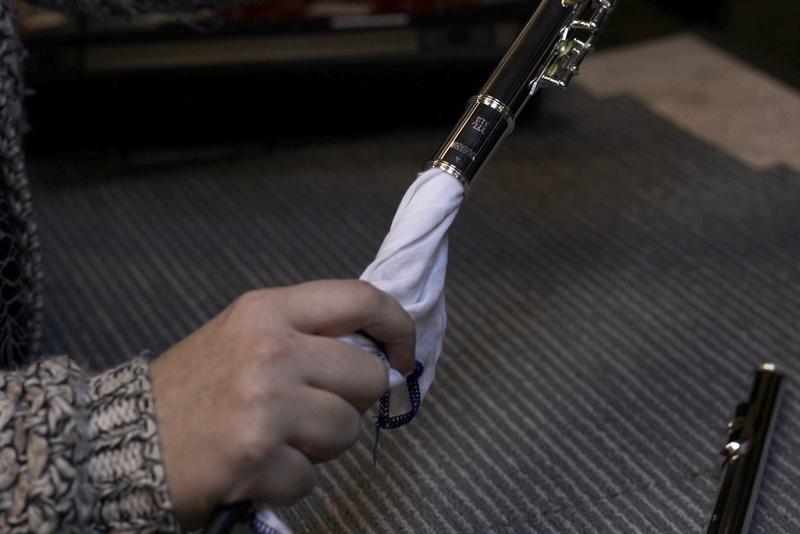 Simply wipe away any finger marks that are on the flute. Try to avoid getting too close to the rods, as there are springs under them, which if caught can need springing back into place. Congratulations! 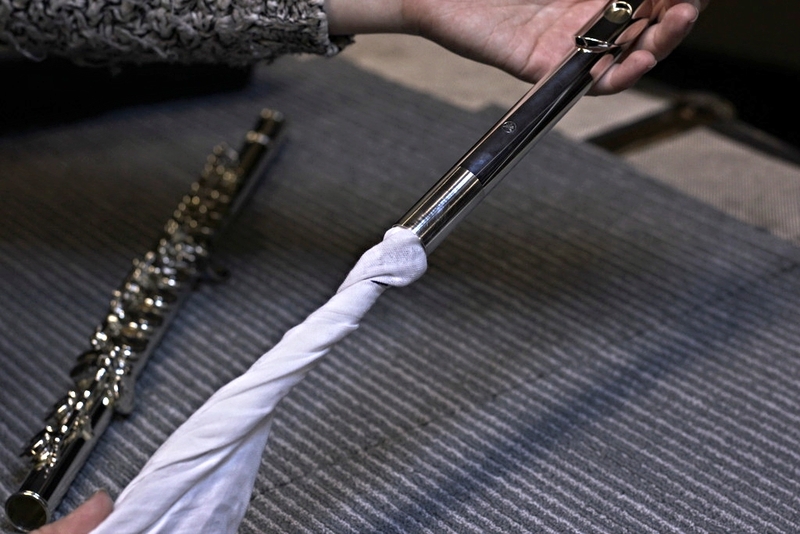 You've successfully cleaned your flute. If you have any questions, or need some advice, please do not hesitate to contact us, we're always happy to help.